The first message I wrote said, “HELP!” something that I have learned that many women write once they learn that there is no hope, no future...once they feel the effects of strangulation and defamation. Not trusting a soul, I frantically typed; hoping someone could hear me. Blinded with tunnel vision, there was only the smallest glimmer of hope that I might find a kind soul who understood what I was about to tell them. And then I found them. They were women with soft hands and bloodshot eyes... kind women who spoke the same language...women who, like me, were searching for their lost souls. For months to follow I was literally taken by the hand and shown the path to survival. Some days I crawled. Some days I ran. Some days I walked backwards. The reality of my life dangling on a string and the work I had to do to escape became overwhelming. Their soft voices would interrupt the pain - long enough to guide me back to the path. Arm in arm, a kind soul would walk with me, dry the tears and point to the ray of light that beamed through the clouds. She assured me that my bloody heels would form new skin...that my heart would feel lighter in time and that the breaths would come easier. I wasn’t so sure. It was quite some time down the path before I learned that my new friends have helpers. You can’t see them but they are sitting on your keyboard before you turn your computer on. They wait for you. At times they guide you to a new book or just remind you to eat and sleep. On the coldest day they find the blanket. In your darkest hour, they light the candle. I was told they have wings and magic dust...and some targets have told me that they will never, ever leave you. Helpers with magic dust and wings are created from your fingers the first time you sit down to post. They are a collective energy that rebounds from the fingers of those who have typed before us. They are motionless until you strike the first key - and only then can you release their true powers. Only those who trusted to type will feel them. They bathe, comfort and protect us. They know the beginning and the end of our journey. I’m so glad you found WoN and had the courage to strike that first key. 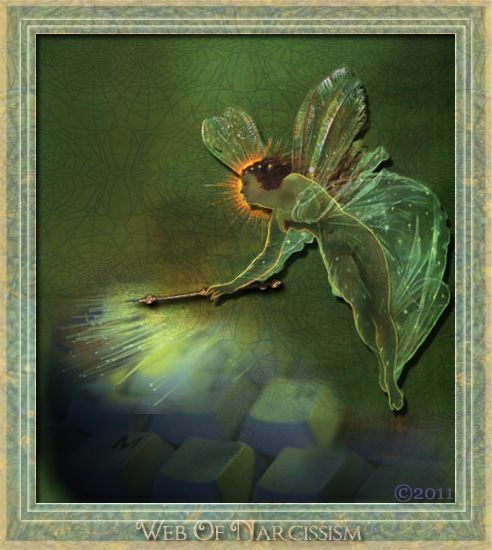 And now, the keyboard fairies have found you. As you begin your journey, be kind and gentle with yourself and I promise you the fairies will help you to find your way.